Only the Sturgis Rally and Races draw more visitors to South Dakota every year. Expecting to top 100,000 people once again at this free fest, The Lifelight Festival is held every Labor Day weekend in southeastern South Dakota, just east of Worthing, a small town not too far from Sioux Falls. It draws people from as far away as central Canada and both U.S. coasts. For those waxing nostalgic for the late, great Cornerstone Festival, this, too, is held on a large, dusty (but constantly watered down) farm with plenty of corn in sight. Blast bands this year include: Disciple, For Today, Thousand Foot Krutch, The Red Jumpsuit Apparatus, Flyleaf, Phinehas, From The Eyes Of Servants, Southbound Fearing, Plumb, Silverline, Seventh Day Slumber, Ashes Remain, Fireflight, Random Hero, and Behold! The City. After doing an overhaul of our website, the regular donation links are having some coding issues that our web team needs to solve. In the meantime, we have a temporary Donation button now on our website that will work. It is on the right side, just under The Blast Map. Got A Request? Use the Request Portal in the Multi-Stream Flash Player on our website. https://www.theblast.fm/home/wp-content/uploads/2016/12/blast-header-logo-3.png 0 0 colincruz https://www.theblast.fm/home/wp-content/uploads/2016/12/blast-header-logo-3.png colincruz2013-08-16 13:53:012013-08-16 13:53:01Got A Request? Let's face it, the Android operating system is extremely fractured. App A may work better on one phone type; while App B may work better on another. Some app developers have "this" figured out but not "that", and for other app developers, it's the other way around. And on what is generally regarded as the latest and greatest Android phone, the Samsung Galaxy S-4, the metadata on our new app is showing up as very dim and hard to read. That is being looked at by the app developer. Well, we have a solution for our Android users who have any trouble with our new Android app. You can now download our original Android app and have both our new app and the old one in your Android device! This gives you even more stream choices, too. Here is how to get it. Go here and download it. You will probably need to temporarily tell your Android device to accept apps from non-market sources long enough for this app to load. Get the old Blast Android App, just click here! You may need to change the settings on your device to allow it to download and install from other sources first. After you have loaded the app, change the settings back the way they were before. https://www.theblast.fm/home/wp-content/uploads/2016/12/blast-header-logo-3.png 0 0 colincruz https://www.theblast.fm/home/wp-content/uploads/2016/12/blast-header-logo-3.png colincruz2013-08-15 19:29:542013-08-15 19:29:54Love And Death Dons The Beaver Hats In Their Video For "Meltdown"
Thousand Foot Krutch has been added to The Winter Jam Tour, which jams in 8 states in the southwestern and western USA in the last part of 2013, with early 2014 dates to be announced soon. The Winter Jam Tour, as always, is mainly a pop and adult contemporary music mini-festival. While TFK will be the notable rock band this time around, the tour also includes the likes of Plumb, Newsboys, and the heavily-bearded David Crowder, who is now marketed simply as Crowder. The Blast New Android App Is Finally Here! We've been talking about it all year, and it is finally here! The Blast's new Android app! It starts with 8 streams, from 96k AAC on down to 16k. And yep, AAC+ streams are FINALLY supported in a Blast app! Just search for "The Blast" or "TheBlast.FM" in Google Play. If your phone took the automatic update this morning, clear the cache on the app, and force stop, then open it and the 64k AAC+ stream will work. Update: On our Samsung Galaxy S-4, the metadata display is very dim and hard to read. Hmm, maybe we need to put on Google Glasses to see it. We have also heard feedback about no metadata from Blasters. Odd, because metadata worked great in the test app from this new developer. https://www.theblast.fm/home/wp-content/uploads/2016/12/blast-header-logo-3.png 0 0 colincruz https://www.theblast.fm/home/wp-content/uploads/2016/12/blast-header-logo-3.png colincruz2013-08-14 17:29:552013-08-14 17:29:55The Blast New Android App Is Finally Here! Is The Blast on FM radio? Yes, you can hear us on 94.3 The X in Knoxville, Tennessee, USA, Sunday mornings on 8-9 am. We've had a syndicated show on that mainstream/secular active rock radio station since Spring 2009. 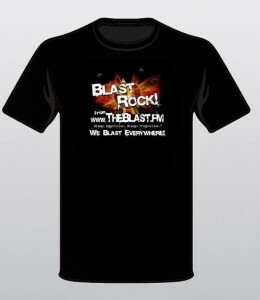 They chose us over all FM Christian rock stations due to the way we program The Blast. We've had tons of requests from Blasters to be heard on FM and/or satellite radio. In other words, these Blasters want us to start an FM or satellite radio station. Well, guess what? That takes a lot more money than we currently have. Radio station owners that would like to carry our programming on FM, LPFM, AM, HD-2, 3 or 4, DAB, DAB+, shortwave, medium wave, or satellite radio, we are open to the idea. Or, if you don't currently own a radio station, you can form a group in your community to raise funds to start a radio station and carry our programming. 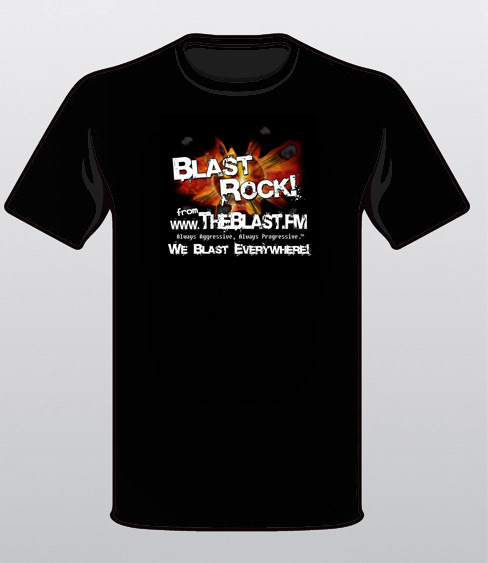 If you own or run a radio station and are interested in carrying Blast programming, write to our President and Program Director: ColinCruz <at> TheBlast.FM. We are open to adding terrestrial radio affiliates worldwide. https://www.theblast.fm/home/wp-content/uploads/2016/12/blast-header-logo-3.png 0 0 colincruz https://www.theblast.fm/home/wp-content/uploads/2016/12/blast-header-logo-3.png colincruz2013-08-09 17:20:252013-08-09 17:20:25New Blast T-shirts coming?